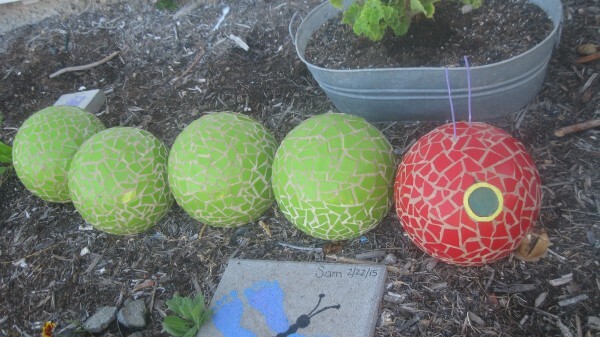 Broken tile mosaic finish makes this recycled bowling ball project fun to do and gives you a cute piece of garden art. 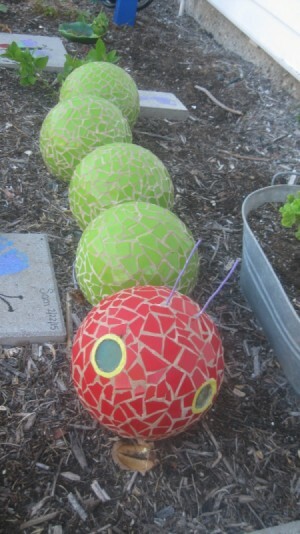 This is a guide about mosaic bug bowling balls. Thank you! I bought the tiles online from Home Depot. Finding the black ones were easy. They have a ton of those. The red is "Bright Red Pepper" and the green is "Green Kiwi". 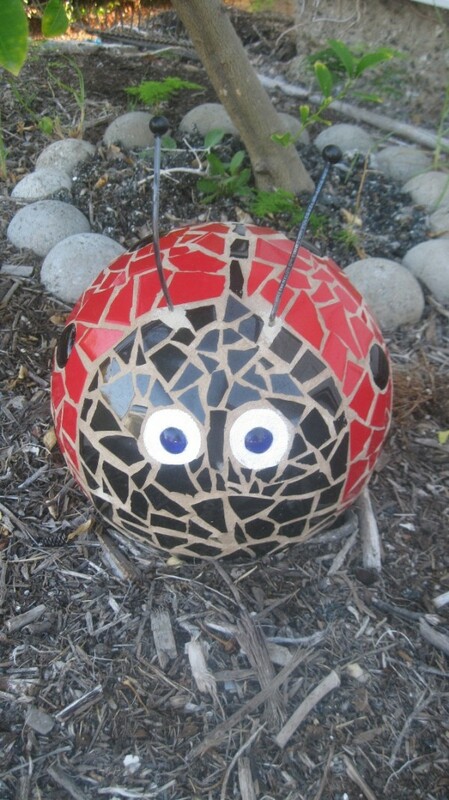 For the spots on the ladybug, I found a seller on ebay who sold large, black half marbles. The eyes are just cheap half marbles from the Dollar Store. The caterpillar eyes were part of the bowling ball already. They were undrilled and perfect for eyes! Very cute! The effort was quite worth it!